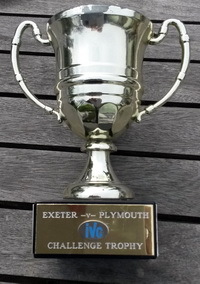 There has been an inter-IVC challenge between Plymouth & Exeter IVCs since 2003, with the two teams playing for the prestigious trophy pictured on the right. Currently Plymouth have won it nine times and Exeter seven. The last match took place in November 2018, where Exeter kept the trophy for the second year.